On September 27 and 28, 2018, the Auschwitz Institute for Peace and Reconciliation (AIPR) co-organized a National Training Seminar for the Prevention of Genocide and Mass Atrocity with the Romanian Ministry of Foreign Affairs and the Romanian Diplomatic Institute in Bucharest. 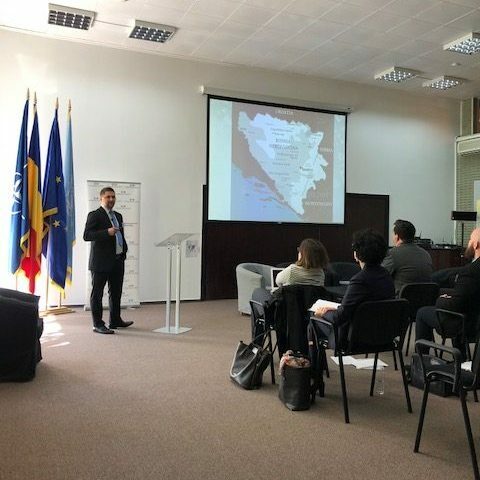 In addition to providing guidance on atrocity prevention policy and the ways in which prevention policy interfaces with the work of participants, the training seminar was held to coincide with the launch of the Romanian National Network for Genocide Prevention and Multidisciplinary Research into Mass Graves. The two-day seminar featured the participation of officials from military and civilian prosecutor’s offices, judges, and experts in the field of DNA analysis, the majority of whom make up the newly-launched National Network. 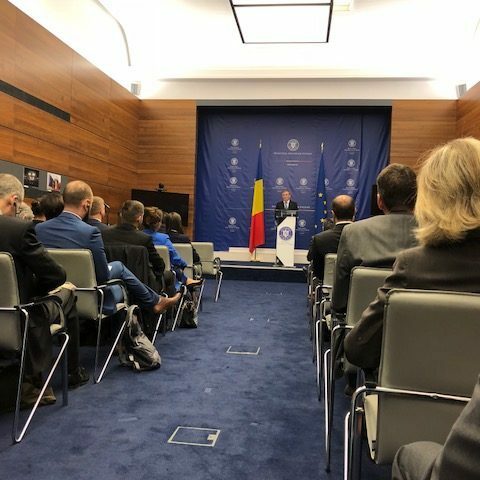 The Network will serve as the primary body for the development of atrocity prevention policy and will place a particular emphasis on refining training efforts for Romanian police officers, prosecutors, and judges on methods for the investigation of potential mass graves. Targeted trainings such as the National Seminar work to empower attending officials with additional knowledge and skills that build on the existing level of expertise to further augment their ability to carry out the Network’s mandate. The first day of the seminar began with a ceremony marking the launch of the National Network. Dr. Tibi Galis, Executive Director of AIPR, Dan Neculăescu, State Secretary of the Ministry of Foreign Affairs of Romania, and Dr. Augustin Lazăr, General Prosecutor of Romania, made remarks to commemorate the body’s debut, which has come after a multi-year preparatory effort. The seminar was then opened with additional remarks by Dr. Galis and Jack Mayerhofer, AIPR’s Chief of Staff. Following this, participants engaged with two introductory level modules. The first covered the fundamental concepts of genocide, atrocity crimes, and their prevention, while the second reviewed the fundamentals of transitional justice. Attendees then embarked on a deeper dive on memory as it relates to Romanian history, as well as notions of identity and transitional justice to complete the event’s first day. The following day began with a case study on mass graves in Romania, which was followed by a comparative study on the same topic as it relates to Bosnia and Herzegovina. After lunch, participants picked up where they left during the previous day’s module examining Romanian history through the lens of memory, this time with a focus on the country’s period of communist rule. The seminar was then brought to a close following a presentation on National Mechanisms for the Prevention of Genocide and a planning session for members of the new National Network. 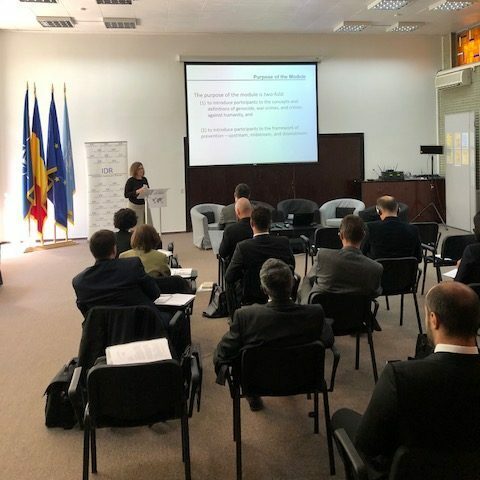 The launch of the National Network for Genocide Prevention and Multidisciplinary Research into Mass Graves and subsequent training seminar is a further indication of how Romania is taking the lead in this field. 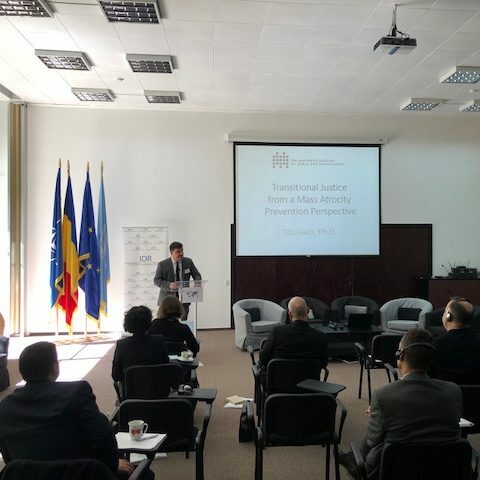 Romania is providing examples of State best practice for pursuing atrocity prevention both at the regional level but also by developing national structures best suited to address domestic realities.